Doctor Who: Players | Warped Factor - Words in the Key of Geek. We come now to a significant juncture in "Doctor Who in print". 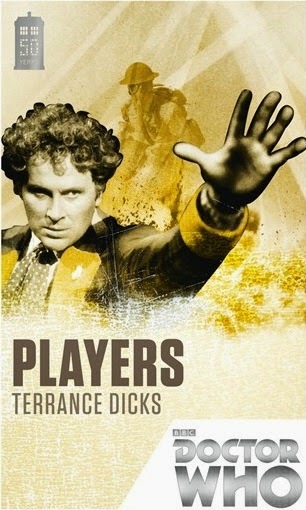 Not only is Players written by Terrance Dicks - his second contribution to the Past Doctor Adventures series - it introduces the titular Players. Mysterious beings who like nothing better than to meddle in Earth's history, they've set their sights on curtailing the rise of one Winston Spencer Churchill from Daily Mail war correspondent to Prime Minister! To them, he is nothing but a Piece ( that is to say, an unknowing participant in their games). When the Doctor & Peri first encounter Churchill in South Africa during the Boer War circa 1899, saving him from an assassin's bullet, they too become Pieces in what the Players refer to simply as ' The Game'. Its credo is almost sacred- with little regard for the potential consequences of their interference. "Winning is everything-and nothing. Losing is nothing-and everything. All that matters is the Game." Managing to get themselves captured by the Boers along with their new friend, a prison break is engineered. 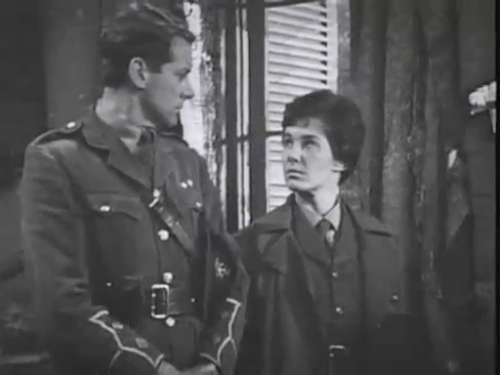 Making it back to the TARDIS, the Doctor can't help but mention to his companion that he's met Churchill somewhere before, in Winnie's future & his own past. Hold on to your hats, as we're entering Season 6B territory! 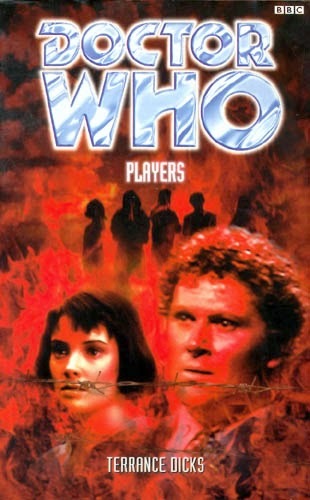 Players is the first Past Doctor Adventure to make use of the gap between the Second Doctor's enforced regeneration and his eventual exile to Earth in his new body. The implication here being that instead of simply making that change straight away, the Time Lords conscripted him into the Celestial Intervention Agency and sent him off on a few missions on their behalf. The first of these assignments will take him to the Battle of Waterloo in World Game, the second novel of the Players Trilogy alongside this and the Eighth Doctor Adventure Endgame. From the Players' perspective, their meeting with the Second Doctor at Waterloo occurs after events here, while for him Players follows World Game- after seeing for himself that things are tickety-boo after all that war, he agrees to become a Celestial Intervention Agent for a spell. 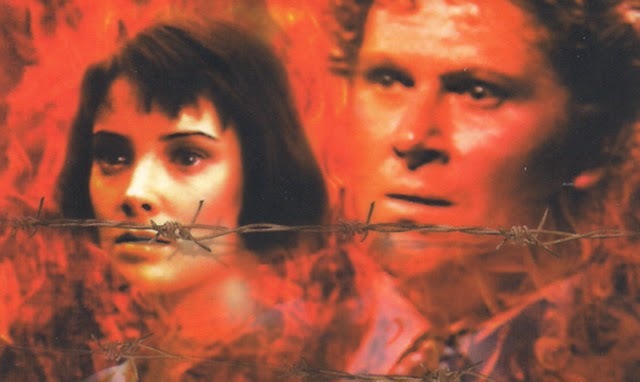 What's presented in the chapters from No Man's Land- Return within Players is no less than the account of the beginnings of his service, with the condition that the little chap with the recorder is allowed to return to Earth via a Time Ring- as later seen in Genesis Of The Daleks - to see for himself that the soldiers taken out of their own times for The War Games have been returned properly. This also allows for the reintroduction of Carstairs and Lady Jennifer Buckingham! BUCKINGHAM: What shall I do? RANSOM: I'd like you to stay here and man the telephone. I've put out an alert and someone might phone in some information. All right, Carstairs? RANSOM: Lady Jennifer, if the General returns perhaps you'd explain what has happened? BUCKINGHAM: Certainly. Where's he gone? RANSOM: He's been called away to an urgent meeting. BUCKINGHAM: I know it's an awful thing to say but I can't help hoping they get away. CARSTAIRS: I know just how you feel. Still.. Both of whom will return to aid the latest incarnation of the man they met in the War Zones later on, having become an item. The next phase of the Game will centre on the abdication of King Edward VIII, who is in a sense the leading Piece. Was he really a Nazi sympathiser? And how might that spice up the Game? A meeting with Joachim Von Ribbentrop, Hitler's Foreign Minister, threatens to transform the England ruled by the King from a leading opponent of Nazism into a protectorate of the Third Reich! Of course, that cannot be allowed to happen. Churchill is vehement in his opposition to it on patriotic grounds, while the Doctor knows of the temporal consequences of such a change. And indeed his next incarnation will see an alternate future in which the Germans won the Second World War and England is indeed ruled by King Edward, with Wallis Simpson as his Queen in Exodus, Dicks' contribution to the Timewyrm trilogy. 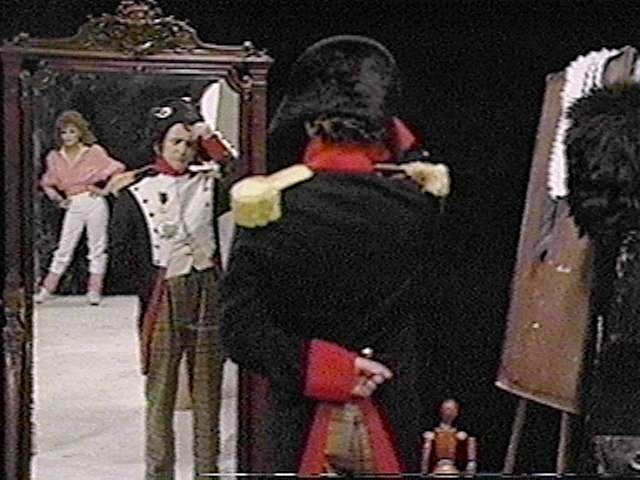 World Game will explain just how the Seventh Doctor got hold of that first Napoleonic outfit he tries on post-regeneration into the bargain! "...incriminating correspondence relating to the former King of England, Edward VIII, his wife – the divorced American Wallis Simpson, whom he married in 1937 – and their links to dictator Adolf Hitler." "It would be a tragic thing for the world if Hitler was overthrown, Hitler is the right and logical leader of the German people. Hitler is a very great man." Quite the dodged bullet, for sure!